EMV is the new credit card security standard. For U.S. or Canadian RGP users currently accepting EMV payments with OpenEdge, we’re happy to announce an upgrade to the integration that will speed up processing time and increase reliability. ACTION REQUIRED TO DEPLOY THE NEW INTEGRATION METHOD. See details below. If you’re a U.S. based RGP customer NOT currently using EMV, now’s the time to switch! Learn how to switch to EMV terminals integrated with OpenEdge. RGP users have always been able to attach a proficiency level to a customer profile, but the designations were limited to a defined set of options. With this latest update you can now customize or add whatever proficiency designations you’d like - even beyond belay certifications! A new warning message will appear to the staff when new bookings are completed in-house and not all required questions are completed. The warning appears when the staff closes the Manage Event window after completing a new booking, or when clicking the Send To POS button. The Custom Report SQL Window is now resizable with scrollbars. Youth Program Groups -> Group Check-In : A horizontal splitter was added that allows the upper and lower pane to be adjusted. This allows users to see more customers in the top pane if desired. Manage Event -> Participants -> Find Documents : A new booking will be created ONLY if the customer is not already a bookee or participant. When exiting Manage -> Email System, if the system is in TEST MODE a pop up message will now appear. Mobile account actions such as, linking and unlinking online accounts, are now recorded in the audit log. Change Form PDFs occasionally failed to upload. Fixed. Staff Pin was not required when adding or removing instructors from bookings. Now a Staff Pin is required. Fixed. When Send To POS is used with custom questions with a default value of 0 and associated with products, the line items were still created in POS even though the quantity was 0. Fixed.. When a Power or Closer staff level is required, the window that appears now clearly indicates which access level is required. If the staff updated an email address of a bookee when sending a confirmation email, the action was not logged in the event change history. The action is now logged. 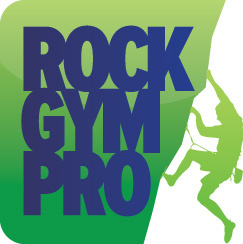 Gyms were able to enter more than three letters for their gift card prefix. The three letter limit is now enforced. You can now sort by date with archived members.